There aren’t many wee SUV’s that can pull off a double—small in overall size and big in cabin spaciousness. The 2018 Ford EcoSport certainly doubles as a vehicle that can do both. In a class that is pretty crowded with SUV’s that are on the wee side, the EcoSport is 16.8 inches shorter than its cuz, the Ford Escape. When compared to a few of its haters—the Honda HR-V, Mazda CX3, Buick Encore and Chevy Trax, the EcoSport is the shorty of the bunch. Despite its Lilliputian dimensions, let’s not get it twisted, the EcoSport gives descent interior room and it’s cute to boot. The EcoSport has an overall chunky and macho upright design, with an upswept beltline, sporty trapezoidal grille with horizontal slats, distinctive angular headlamps and fog lights, all delivering a sleek and sculpted appearance. 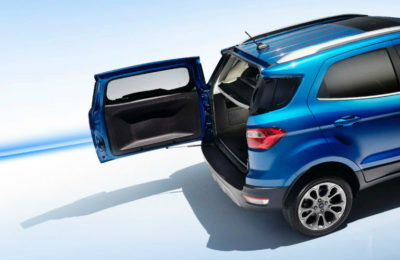 The EcoSport’s innards are spacious enough to nicely accommodate folks north of six feet front and back. 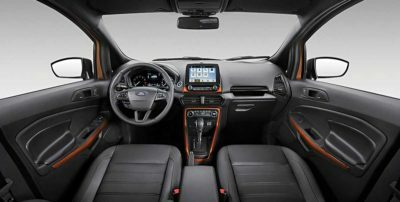 Ford has created a neat looking cabin in the EcoSport that includes a nice mix of hard and soft plastics that visually work well together. 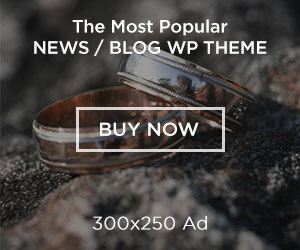 There are also bits of chrome touches that aren’t overdone. The fit and finish of the vehicle’s cabin are solid. The EcoSport is better suited, however, to four rather than five adults. The overall seating in the EcoSport is commuter supportive, and bolstered in the right places, The rear seating in the SUV reclines just enough. Ingress, egress and the driving position are great because the vehicle stands tall. Visibility facing forward is good despite the subcompact’s tall hood. The area in the EcoSport’s rear area, however, is compromised by the upturned rear pillars and small windows. The SES model has orange trim throughout the cabin which adds a hint of cool to it, visually. Every model except the base S comes with Apple CarPlay and Android Auto and a base 4.2-inch touchscreen (there is an available 6.5 or 8-inch upgrade) infotainment system with the ever-wonderful Sync 3 interface that offers fast responses. The EcoSport has about 21 cubic feet of cargo space behind its rear seating and the space is accessible from a side-swinging door that seems a smidge impractical especially when parked in a tight space. 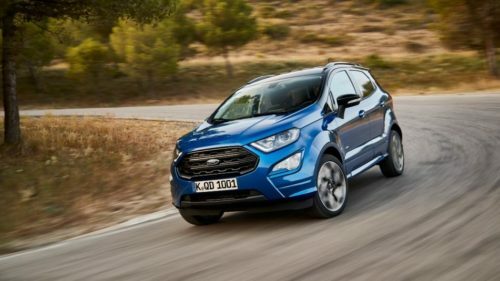 EcoSport S, SE and Titanium trims with front-wheel drive is juiced by a turbocharged 1.0-liter EcoBoost three-cylinder engine (123 horsepower, 125 lb-ft of torque). Optional for those models and standard on the SES is all-wheel drive and a more respectable 2.0-liter four-cylinder engine (166 hp,149 lb-ft). Both engines are paired to a six-speed automatic transmission. Powering the EcoSport 2.0 is fun factor plus. The steering in the SUV is well-weighted and precise. As far as handling, the EcoSport offers excellent agility, and maneuverability translates into fun times behind its wheel. The vehicle’s acceleration is just enough to satisfy all of your around-the-town needs, On the highway, however, the runabout’s little engine that could struggles a bit but once you get it up to speed, it manages to hang with the best of them. When cornering, body roll is barely felt. The subcompact also does a cushy job of absorbing annoying road bumps. The EcoSport’s brakes have a nice responsive bite. 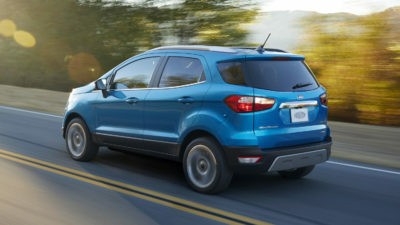 According to EPA estimates, the EcoSport gets 27 mpg/city and 29 mpg/highway with its base engine. With the more peppier engine, the EcoSport gets 23 mpg/city and 29 mpg/highway. Driver assistance features and active safety systems are practically non-existent in the EcoSport but this hasn’t stopped it from snagging a four-star safety rating from the National Highway Traffic Safety Administration (NHTSA). Standard safety features on the EcoSport are airbags, anti-lock brakes, rearview camera, tire pressure monitoring system and Advance Trac with Roll Stability Control. Upgrading your vehicle will add the more innovative collision prevention systems. With a tiny footprint, surprisingly large interior, handling excellence, and engaging driving dynamics, the 2018 Ford EcoSport offers a high level of practicality and is definitely, a solid choice in its class of vehicle.